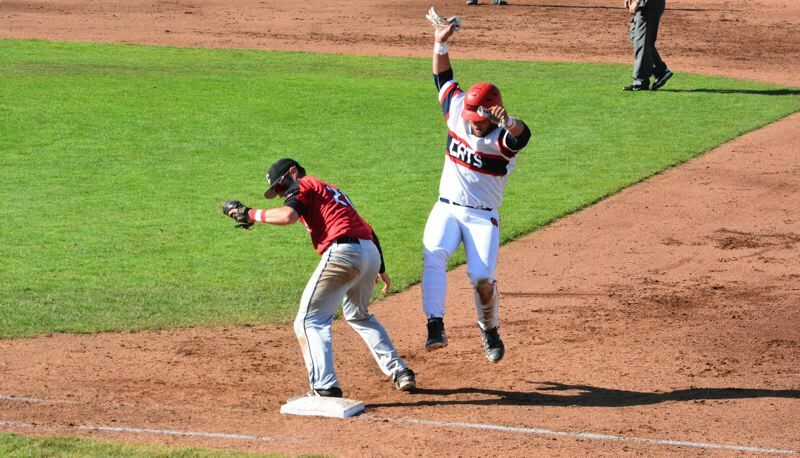 When the roof seemingly caved in around them in the form of hexed errors and ill-omened double plays, Westview refused to let its dream of dogpiling atop the Volcanoes Stadium mound die. The desire was destined from a young age. 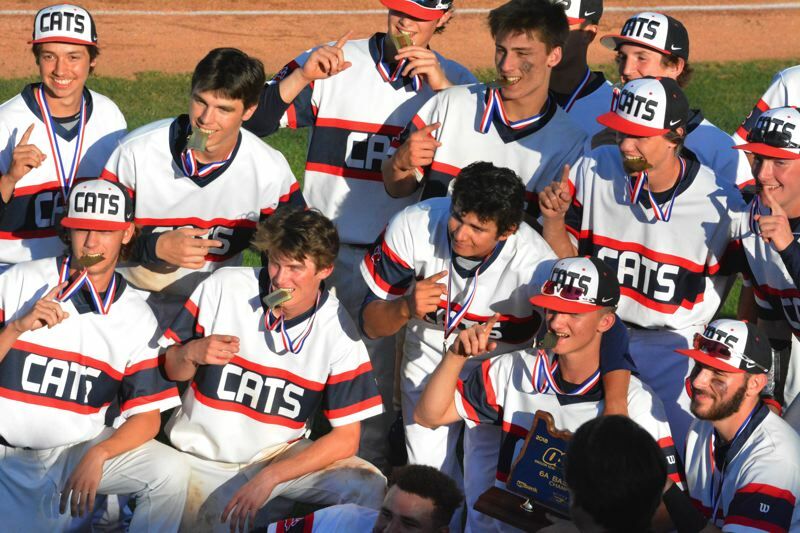 As 11-year-old bat boys on the 2011 Wildcat team that won the state title, Willie Weiss and Tyler Antich knew they would someday lead Westview back to a state crown. 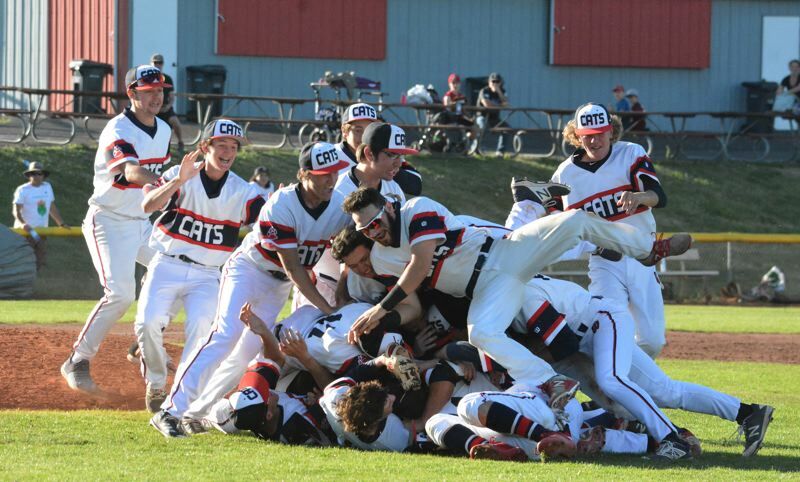 Mante Woods, sitting in the stands behind the Wildcat dugout as Carson Kelly and company claimed the program's first blue trophy, was certain he and his Sun Creek Little League buddies would put up another banner once they reached the high school level. Yet the actual dream started out as a nightmare. 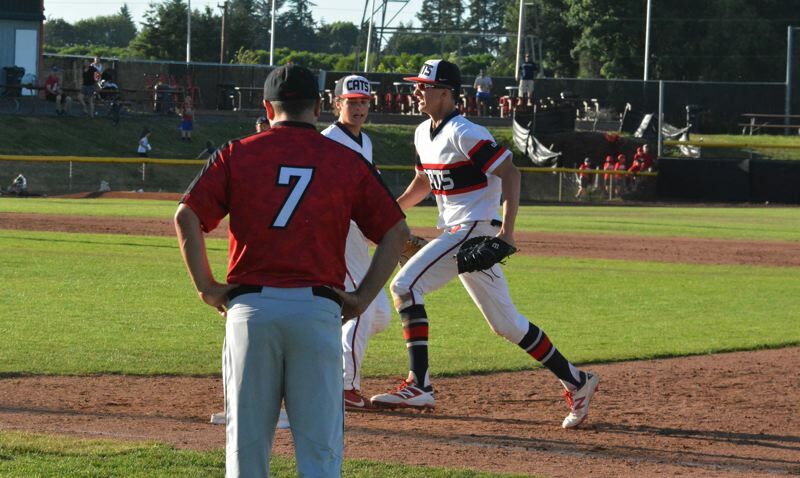 Playing on the same Volcanoes Stadium field as their childhood heroes in the Class 6A state championship game against Clackamas, Weiss and his senior-laden crew found itself in a 4-0 hole heading into the bottom of the fourth. Nothing seemed to go as planned. So dominant, so powerful all season, Westview looked more vulnerable than it had all year. But internally, the Wildcats were anything but defenseless. They'd seen the '11 team erase a 6-0 deficit in the title bout. Westview played in high-stakes games, in pressure situations before. Over the years they'd overcome longer odds. Even this postseason the Wildcats were tested and survived. And in the fourth inning, the Wildcats erased any shadow of a doubt, that their predestined vision was in fact, reality. Westview barraged Clackamas with six runs in the fourth, crushing the Cavs with a back-breaking tsunami that single-handedly gave the Wildcats a 6-4 lead. The rest of the way, it was all Westview all the time. And when freshman first baseman Mason Guerra fielded a groundball, sprinted to the bag and stomped on the base for the final out of the game, Westview rushed the field in triumph, all 20 players heaping on top of each other, celebrating the 8-4 championship win on Saturday. "We finally got here, we finally did it," Antich said with a smile. "My childhood dream just came true today. It's crazy. This is the biggest stage I've ever been on and to come back from that big of a deficit was just a complete and total team effort. We didn't give up. We knew we could stay in that game." "This game was a perfect representation of our team and how we're able to come back from anything," Westview senior pitcher Ben Braukmann said. "We had to do it one pitch at a time, one play at a time. Everyone had to do their job. We had nothing to lose that point. We just had to lay it all out on the line. We knew this was our last game and we had to come out firing at the end." "We don't give up, we just kept battling," Weiss said. Westview' offense, the victim of two double plays in the three innings prior, hit the ball hard to begin the game, but right at the Cavalier defense who cashed in the web gems and used that momentum to put up four runs against Weiss. Clackamas took a 3-0 lead in the top of the first. With the bases loaded, Clackamas' Tommy Gutierrez hit a chopper to Braukmann at second that was tricky due to the runners in motion. The commotion Jake Zehr caused running in front of Braukmann on his way to second messed with the infielder's vision just enough that ball skipped under his glove and into right, scoring two and extending the Cavs' lead to 3-0. But Weiss and his defense settled in after the first. And in the fourth, the floodgates sprung open completely. Woods singled to center and scampered to second on a Cav error. Jacob Cox walked on four pitches. 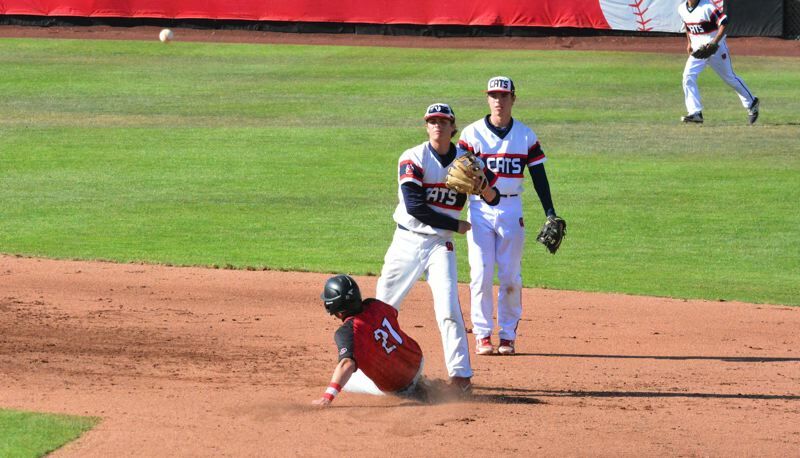 Woods took third on a Clackamas error with Carter Sakamoto at the plate. And Sakamoto put Westview on the board with a sacrifice fly to center to make it 4-1. "Once we scored that first run we started believing we had a fighting chance to win it," Sakamoto said. "In the third (inning) we were sort of out it, but our student section got us back into it. We got locked in, our dugout kept us going, our fans kept us going. We got the momentum and carried it out." Guerra followed by flogging a double off the McDonald's banner in left, easily scoring Cox from second to cut Clackamas' lead in half, 4-2. Antich reached on an error and Evan Williamson did his job, pumping a sacrifice fly to right that scored Guerra and made it 4-3. Josh Moreno hit a high pop up to the left side of the infield and with the wind swirling from left to right the ball, fluttered and fell between the tripping Cavalier infielders, allowing Antich, running on contact, to tie it up 4-4. "We weren't going to work that hard and win all those games for second place," Antich said. "We weren't settling for second place. We all stayed true to ourselves. We didn't try to do something that was bigger than us. We all knew our role. We all stayed scrappy and did our jobs." Weiss reached second on a throwing error that moved Moreno to third. Subsequently, Braukmann batted a ball back up the box that the Clackamas second baseman got his glove on the ball, but the force of Braukmann's hit was enough to get under the infielder's glove and score Moreno and Weiss to break the tie and give Westview its first lead, 6-4. "When we're 'on,' nobody can beat us, nobody can compete with us," Woods said. "Jacob Cox and I were looking at each other like 'Are you worried?' and I said 'Nah, I'm not worried.' It's just that confidence we have in each other and in our team. We're out in the field with each other for three hours a day in practice. We're together so long every single day, we don't have any other choice but to be best friends. Everybody on this team loves each other and that's what brings that chemistry." Antich said Woods, Weiss and Sakamoto walked up and down the dugout, keeping Westview's spirits high, encouraging their hitters to keep attacking the Cavalier pitching staff, to maintain aggressive approaches at the plate. With so many weapons and big-time hitters in the order, it felt like just a matter of time until the Wildcats clicked at the dish. And when their big red-white-and-blue machine started churning, Clackamas cracked, committing five errors to go along with a number of uncharacteristically poor defensive decisions. "We had to force the game on (Clackamas) and they weren't ready for it," Braukmann said. "The vibe in the dugout was crazy. We were all yelling and screaming just like we have been this whole year. We were just playing Westview baseball." The Cavs, so accustomed to blowing teams out and front-running in the Mount Hood Conference, crumbled thanks to a Wildcat lineup that smelled blood in the water and went for the jugular. "We knew (Clackamas) was going to fold under that pressure," Antich said. "They haven't faced as much adversity as us or seen that much pressure all year and that showed throughout the game. We just kept hitting balls hard and pulled away." "We had no fear, we just knew we were going to get some runs," Woods said. "(Clackamas) is used to being the top dog, the aggressor. And once we started hitting, I felt them starting to back up, starting to get on their heels. Then, I knew we were going to take that game." Such a drastic, startling rally was never out of the realm of possibility with this Westview team. Woods and Weiss, in particular, harped on the fact they felt the Wildcat order was the best in the state, bulletproof from top-to-bottom, dangerous one-through-nine. But to pull it off so swiftly, getting all four runs back and then going ahead for good in the span of half an inning, was stunning even for the most diehard Wildcat believer. Every pitch Westview came in contact with, something good seemed to happen. 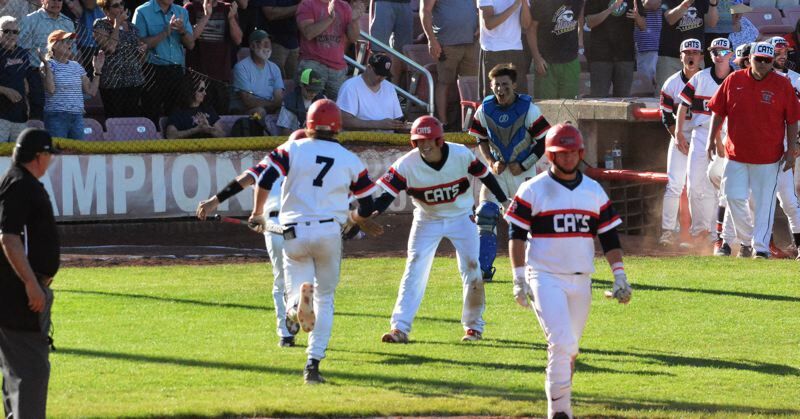 The Wildcat wave of energy never lost stamina or speed as Westview batted around in the stanza, not so much battering Clackamas, but chipping away at the Cavs' suddenly fragile state of mind. Lost in the snowball-like fourth was how good Weiss was after the tough beginning. From the third inning through the fifth, the Oregon Gatorade Player of the Year allowed just one base runner. His cause was aided by a sensational catch by Moreno in left, who raced to his right, got a beat on the ball and athletically lunged at the screamer to glove it before falling to the ground for the first out of the fifth. Weiss, who the Metro Pitcher of the Year and the most dominant ace in the land, wasn't at his performance peak, but he didn't need to be. His teammates picked him up. "I had no doubt," Weiss said. "I didn't have my best stuff on the mound, but I knew our bats were going to get it done for me. We had the momentum and we never gave it back." Cox led off the fifth with a bloop single, stole second, then third and Guerra — the next big thing to come out of Westview — drove him in with a solid single back up the box to extend Westview's lead to 7-4 with one out. Guerra had two RBIs and played sound defense just as he did all postseason. In the final three Wildcat playoff games, Guerra had eight RBIs. Against West Linn in the quarters and West Salem in the semis, Guerra gave Westview the lead for good with his clutch base knocks. "I can't explain enough how valuable (Guerra) is to this team," Woods said. "That kid has gone off non-stop all playoffs. He proved why he's going to Oregon State and why he's the best freshman in the Northwest. That's undeniable. He's a game-changer." Braukmann relieved Weiss in the sixth and allowed just one hit in two innings of bullpen work to get the save. He too benefited from some primetime defense behind him. Woods made an outstanding stop-and-snare, gloving a grounder and gunning down the Cav leadoff hitter at first from his knees in the sixth. Moreno ran down another deep fly ball. And Weiss circled around a gusty pop-up and gloved it on the outfield grass to end the sixth. second on an error and later scored on a Cavalier error to extend Westview's lead to 8-4. And Braukmann brought the dog pile out with a clean seventh to send the Wildcats home with the title. For this veteran group that captured the program's second state title, went undefeated in Metro for the first time ever in conference history, such an in-game turnaround was a testament to their greatness through the season as a whole. They were the prohibitive state favorite from the first week of the season on. 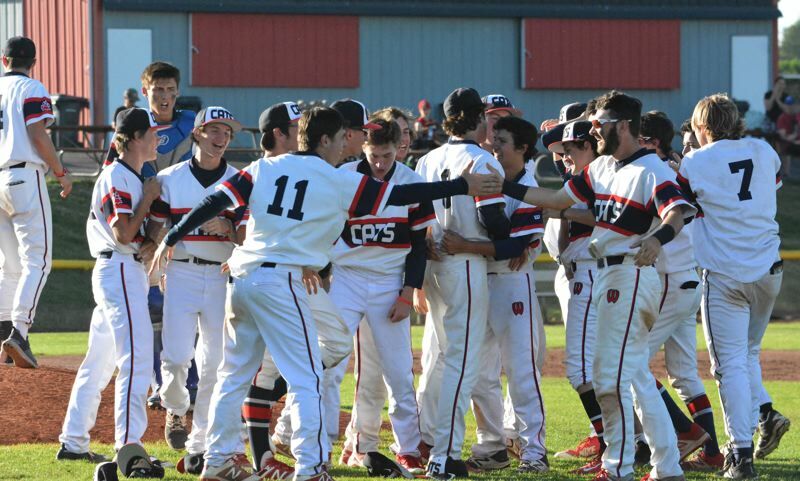 Many incredibly talented Westview teams have come short of even reaching the state title game, let alone winning it. But this squad, with its never-say-die attitude in the postseason, collection of uniquely gifted athletes and unassailable team cohesion was the one to get it done and put another banner up at Westview. "The way we compete, hit, play defense and how hard we play, I feel like we're one of the best teams in state history," Sakamoto said. Weiss got the win, throwing five innings, striking out four, walking four with four hits allowed and three earned runs. Moreno was named the Moda Health Player of the Game after going two-for-three with a walk.